Metro will stay open late or open early for a limited number of special events such as playoff games or marathons over the next year – as long as event organizers are willing to put more money down up front than they have in the past. 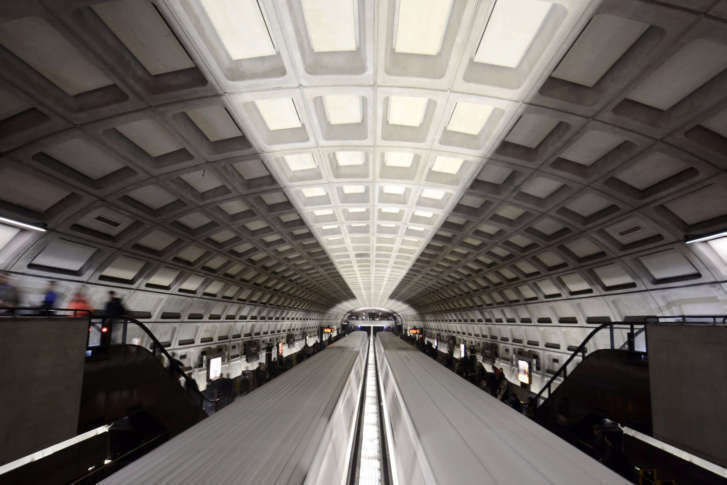 WASHINGTON – Metro will stay open late or open early for a limited number of special events such as playoff games or marathons over the next year – as long as event organizers are willing to put more money down up front than they have in the past. The return to additional rail service for special events comes after 13 months where General Manager Paul Wiedefeld had generally restricted late-closings or early openings, including turning down requests for extra service for the Marine Corps Marathon and a Washington Nationals playoff game. There were exceptions made for region-wide events including Inauguration Day, the Women’s March on Washington, and New Year’s Eve. “My concern last year was we just didn’t do it. Now at least we have a policy if the Nats, the Capitals, any of the sports teams, the Marine Corps Marathon, whatever the event happens to be, wants to buy extra time, the ability to do so is now in existence,” Metro Board Chair Jack Evans said. The policy only allows for 10 days with additional hours. Evans suggested that limit should be flexible. The policy will be reviewed next year when it could be adjusted again, Wiedefeld said. As under Metro’s previous policies, the event organizer will get any part of their deposit back that is covered by riders’ fares after the regularly scheduled close of the system. The new fees are $100,000 per hour, as opposed to the $29,500 deposit that had been required in the past. To get the extra hours, the policy requires requests be made in advance, be for a major regional event such as a concert, game or festival where a significant crowd is expected to use Metro, and not require the system to open earlier than 6 a.m. or stay open later than 1 a.m.
“And I think that’s a good one because we really have a shot — you know I say this every year – of maybe going to the World Series or something this year, and we really need that. We have the All-Star Game coming in 2018, so we’re going to need that, and so I think Metro now has put itself in a good position,” Evans said. Metro has not officially announced plans for July 4 service this year, but a spokesman told WTOP earlier this month the system is expected to close at the new regularly scheduled Tuesday night closing time of 11:30 p.m.
Metro Board members and reporters asked Wiedefeld Thursday to confirm July 4 weekend service plans, but he declined. Wiedefeld said he did not want to comment on those plans until after fare hikes and service cuts begin Sunday.